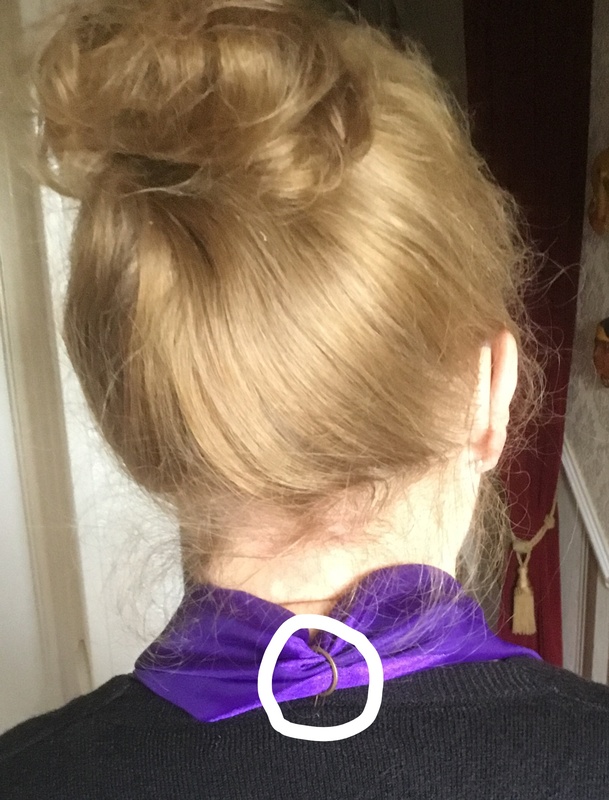 What should you be wearing when you sing in a South Devon Choir concert? Black dinner suit, white shirt and bow tie as advised. You may be given a coloured tie to wear to match the ladies’ scarves, but if purple scarves are being worn, then black bow ties are required please. TOPS: Long sleeve black tops with a V or round neck. Please avoid wearing a cardigan over the top of your top; if you feel the cold perhaps you could put an extra layer under your top. TROUSERS/SKIRTS: Smart black trousers or long skirt. SHOES/TIGHTS: Black – remember you will be on your feet and may be accessing and standing on staging. Please bear this in mind when choosing your footwear. See the photographs below for an example of concert appearance.